Your body needs fat to produce certain hormones, absorb fat-soluble vitamins and maintain body temperature. Some types of fats are healthier for you than others. Polyunsaturated fats, also known as PUFAs, have many health benefits. While PUFAs may be a healthier type of fat, it is still a fat and is high in calories. All fats contain nine calories per gram, more than twice as much as carbohydrates and protein, which provide only four calories per gram. Both polyunsaturated fats and monounsaturated fats, PUFAs and MUFAs, are healthy fats that can benefit your heart when you eat them in place of unhealthy fats. Saturated and trans fats are unhealthy "bad" fats that can increase your cholesterol, harden your arteries and eventually increase your risk for heart disease. Approximately 20 to 35 percent of your total calories should come from "good" fats, like PUFAs and MUFAs. Based on a 2,200-calorie diet, you can have 48 to 85 g of total fat per day. A diet rich in PUFAs should include plenty of omega-3 fatty acids. This type of PUFA is found in cold-water fish, such as salmon, tuna, mackerel and herring. 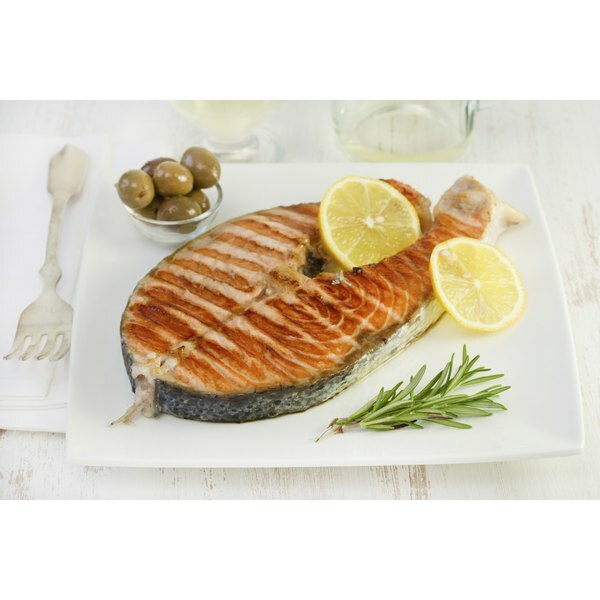 Omega-3s from fish are long-chain fatty acids, which are harder for your body to break down. Flaxseeds and walnuts also contain omega-3 fatty acids, but the chain is shorter and may not have the same benefits since they are broken down quicker. In 2007, the Landspitali University Hospital in Iceland conducted a study to determine the effect of fish or fish oil supplements in weight-loss diets for young adults. At the end of the eight-week study, men lost an average of 14 lbs. and women lost an average of 9 lbs. The highest weight loss occurred in the group that consumed omega-3 rich fatty fish three times per week. A study published in the "Journal of Lipid Research" in 2008 showed that replacing saturated fat in the diet with PUFAs can decrease total cholesterol by 9.4 percent. PUFAs can also benefit your cholesterol by lowering your "bad" LDL cholesterol. Having high total cholesterol and LDL cholesterol can increase your blood pressure, cause atherosclerosis and lead to cardiovascular disease. Oils that have high levels of PUFAs are liquid at room temperature, according to the University of Arizona. Examples include corn oil, safflower oil, soybean oil and some margarines enriched with PUFAs. Seafood is naturally high in PUFAs. In addition to the omega-3s found in cold-water fish, PUFAs can be found in shrimp, cod, lobster, haddock and crab.